Rio de Janeiro is the only city outside Europe that at one point in history was also the capital of an European country. In 1808 the Portuguese royal family decided to flee from Portugal when Napoleon was about to take over Portugal’s capital Lisbon. Their fleet, protected by the English, headed to Rio de Janeiro, capital of their Brazilian colony, where the Portuguese royals would stay for 13 years. In that period Rio became for 7 years the capital of the whole Portuguese empire and thus the de facto capital of Portugal as well. Some people still think Rio de Janeiro is the capital of Brazil. Others think it is São Paulo. The capital of Brazil is Brasilia, since 1960 by the way. Before that, Rio was the capital of Brazil, since 1763. Rio de Janeiro was not always the administrative center of Brazil. The first capital of the Portuguese colony was San Salvador da Bahia de Todos os Santos, better known as Salvador. That city in the Northeastern state of Bahia was the capital from 1594 until 1763. 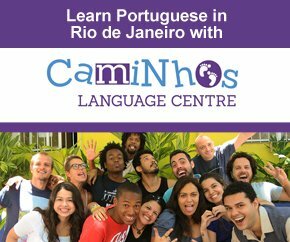 People who live in Rio de Janeiro are known as Cariocas. You have the regular Cariocas, and the ones that were born and raised there, the so-called ‘Cariocas da gema’. The word comes from an indigenous language, Tupi-Guarani, spoken by the native Tupi tribes who lived in the region, before the Portuguese colonists arrived. Apparently, when members of the ethnic Tupinambá tribe saw white settlers building a warehouse on the beach of Flamengo, they called the building akari oka, house of the white man. From akari oka the word Carioca was distilled and is still being used today. The name Rio de Janeiro means literally river of January. The popular explanation for this is that when a Portuguese expedition sailed into the Bay of Guanabara for the first time, to ‘discover’ Rio de Janeiro, they thought the bay was a broad river. This was on the first day of January in 1502. However, historians are not very impressed with this explanation. The Portuguese were excellent navigators; why would they mistook a bay for a river? 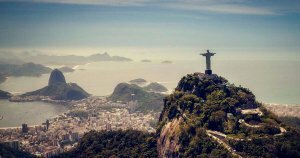 Experts say the word rio was preceded by ria, which in the past meant entrance to a bay, in other words: first there might have been Ria de Janeiro, which became Rio de Janeiro. The first six decades after the ‘discovery’ of Rio de Janeiro in 1502 by the Portuguese were strangely enough a bit of a French affaire. About two years after the Portuguese explorers had set foot on the shores of the Bay of Guanabara, and had left again, French pirates also made into the Bay of Guanabara. They rather liked what they saw. Some of them decided to stay and even married native women. The French brought back to France stories of the beauty of Rio de Janeiro, which attracted more French adventurers. The first ever built village by Europeans, on the shores of Guanabara Bay, had a French name, Henryville. Later the French even tried to officially colonize the region. They founded an administration in Rio, named France Antartique, which existed between 1555 and 1567. The Portuguese were not amused and sent battleships to Rio. After a two years war they managed to sent the French away. 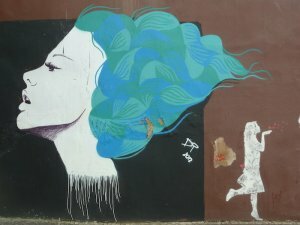 One of the things people will notice visiting Rio de Janeiro, is the presence of a lot of strikingly beautiful street art on walls and buildings. In 2010 laws were changed to make street art legal. Since then artists just need permission from an owner of a building, or a wall, and they can let their creativity and paint flow. Of course historical buildings are exempted of this. 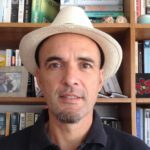 Tip: go see the mural of Eduardo Kobra, close to Praça Mauá (Mauá square), according to the Guinness book of Records in 2016 the biggest mural with street art of the world! Life in Rio is all about the beach and the outdoors. 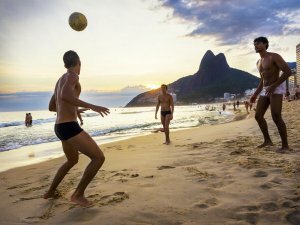 While the Brits use the expression ‘ that’s not my cup of tea’, the locals in Rio have their own variation of this expression, using the word ‘beach’. ‘That’s not my beach’, is a common way to express a dislike for something, or that you’re not interested in a certain thing. Also, instead of wishing a good day to someone, it is very normal to wish someone a ‘good beach’. So if you see someone, on the way to spend a day on the beach, don’t hesitate and say ‘have a good beach’! 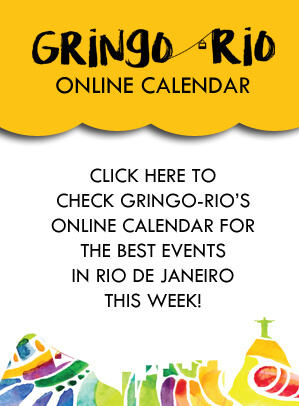 Travelers usually come to Rio for the beaches, the sea, carnival and samba. What they’ll notice as well is that Rio is a very green city, with lots trees and surrounded by mountains. The city happens to have the largest urban rainforest in the world. 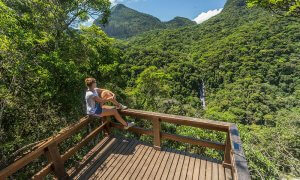 It is officially a national park, better know as Floresta da Tijuca This protected area is the result of reforestation project done in the 19th century, an initiative of Brazil’s emperor at that time, Dom Pedro II. He wanted to restore the area, which was dominated by coffee plantations. I n order to avoid the erosion of the hills in the park, he closed down the plantations and started the reforestation project, executed by an engineer and several slaves. Tourist attractions like the Botanical Gardens, Parque Lage, and the Christ the Redeemer statue are located in the Tijuca park area. It is a great place to do some hiking in a very beautiful rainforest. Cariocas have an obsession with cold beer. If you pay attention, many times you’ll see men cycling along the beach delivering bags of ice cubes to the bars and vendors on the beach. Ice is fundamental to keep the beer very cold, especially with temperatures rising up to 38 degrees in summer. Cariocas don’t like warm beer. Leave your beer in the fridge, and they will take it out and put it in the freezer. When the beer is about to freeze, it is ready to drink. In restaurants and bars they sometimes even keep glasses in the freezer, to give the beer an extra cold touch when it is served.